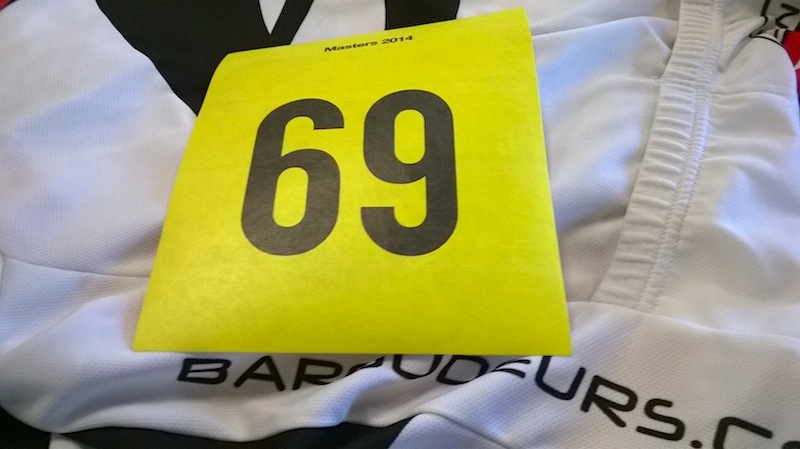 So says the man standing next to me, as we sign up for this evenings race. I feel a lump in my throat as I try to find a suitable response, but all I can say is, “Really? !” Oh dear. I’m left wanting: with Tuesday’s race missed through injury, and the week before through illness; I’m now desperate to get back and hope I haven’t lost any of my confidence to compete. There’s also a nagging feeling to make the most of every moment. So these fortnightly Wednesday races look like an attractive option: a chance to get back on the circuit, and get the legs turning. I see it as a blessing being able to enter the ‘Vet’ category and race more often. So why miss out? 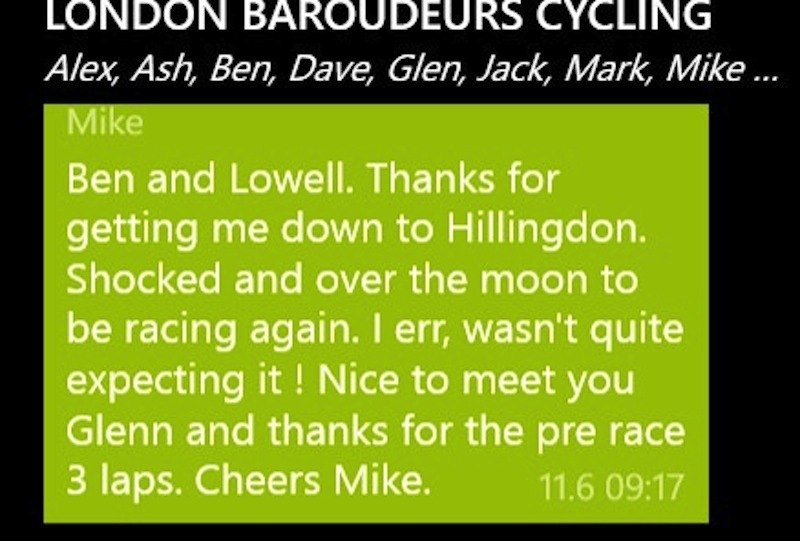 Mike turns up the week before and rides after some time away. But nothing is going to stop you enjoying what you know works best! 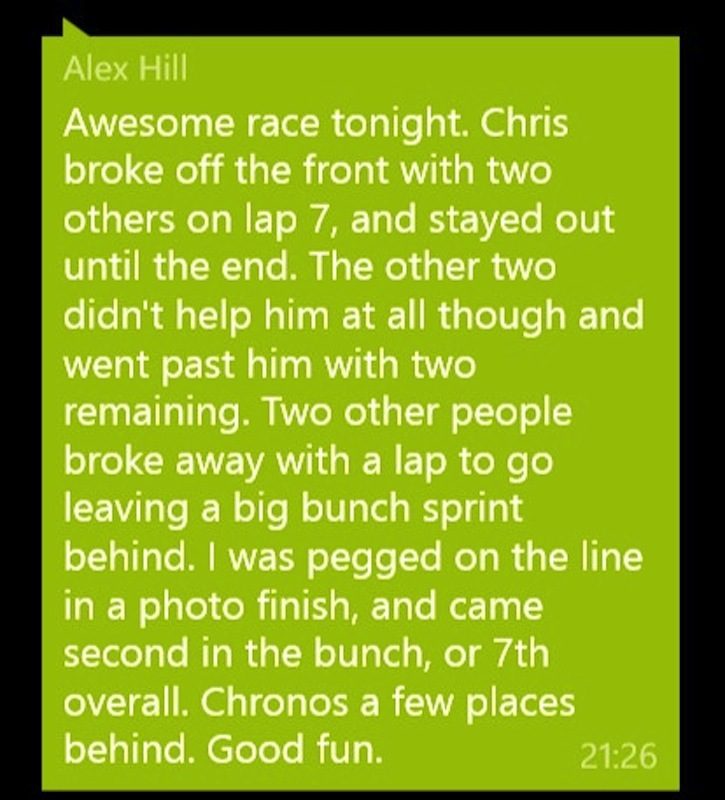 Recently Chris joins us for a few races. He’s now qualified to make the British-Tri squad and will be heading to Canada. We’d like to think we’ve helped him train for this! Alas, I’m not so successful tonight. Misreading the signs, I break away early, only to discover there is one more lap to go. Hoping to get away, I instead come in lantern rouge. A humbling experience made all the more worth it thanks to the racers who warned me it would be a tough night. I’ll be back and I’ll bring my Baroudeurs!